The week started on a tragic note. Reports in the media bore similar news. Two Nigerians had been lost in a fatal crash with no record of survivor. It was at first terrifying and when it was confirmed that Prof. Pius Adesanmi was aboard the aircraft, there was an awkward silence on the social media space. In retrospect, it seems that a lot of his followers were in hope that there would be a miracle, the sort that happened in July 2018 when he survived a ghastly car accident where two persons died. 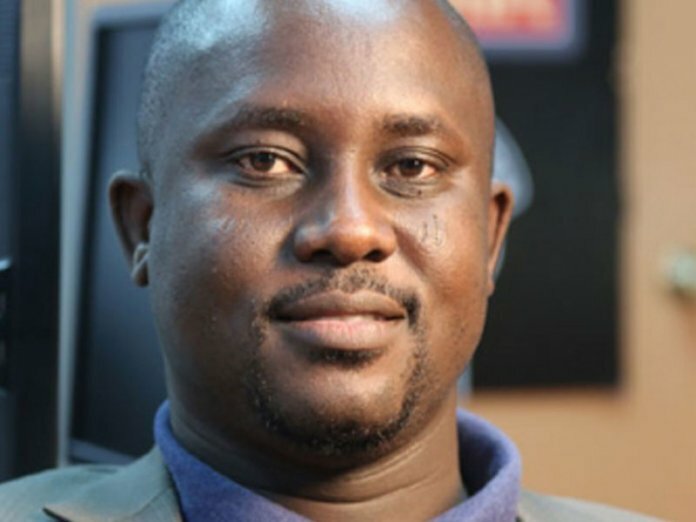 Pius Adesanmi fondly called “Payo” by friends and associates was born on February 27, 1972 in Isanlu, Yagba East Local Government Area of Kogi State, Nigeria. He holds a First Class Honours from the University of Ilorin in 1992, then a master in French from the University of Ibadan in 1998 and a PhD in French Studies from the University of British Columbia in 2002. From 2002 to 2005, he was Assistant Professor of Comparative Literature at the Pennsylvania State University, USA. Adesanmi joined Carleton University, Ottawa, Canada in 2006 as a Professor of Literature and African studies. Since the chilling news of his death, his Facebook profile has been a convergence point for sympathisers and followers of his writings. The unconventional Professor broke into the cyber world using the Nigerian version of English Language to reach the hearts of many Nigerian youths with his unfiltered assessment of the polity and global dynamiçs. On Thursday March 14, the Lagos literati joined their counterparts spread across the country and the world in global tributes to the rare breed. With the convener of Ake Arts and Book Festival, Lola Shoneyin as the host and compere, the Ouida House in GRA Ikeja was filled mostly with individuals who had only met Prof. Adesanmi through his viral writings. After registering their condolences in the book provided at the point of entry into the venue by a candle-lit stand, the tone was set for “An Evening of Reminiscences” where the legacies of Prof. Adesanmi were extolled. Shoneyin began with the memories of the scholar’s laughter, which was a figment of his vivacious personality. “He was full of mischief and fun. I can only imagine how dull the last 25 years of my life would have been without Pius. I feel so blessed to have known him,” she said. The prolific writer, Toni Kan recalled how the young professor valued scholarly conversations, his regular contributions to Post Express Literary Series (PELS), the Ibadan years and how they teamed up against an intellectual war of words with two great poets, Ogaga Ifowodo and Odia Ofeimun. A close friend to the Professor, Ogaga Ifowodo who couldn’t finish off his tributes because of the streaming tears in grief over the manner of his death. “What or Who do I curse? The day? The Plane? The makers of the new technology-driven aircraft on which my friend and my brother was flying from Addis Ababa to Nairobi? “I can’t bring myself to say ‘rest in peace’ and yet I must wish your restless, fecund, passionate and patriotic soul eternal rest,” he said. Kunle Ajibade, a seasoned journalist, editor and author, recounted the grim moment of the painful loss. “Two hours after he died, a journalist from The Nation called me to say she wanted a tribute. And my immediate response was that I’m still weeping. The last time I went like that was when Ken Saro-Wiwa was hanged because of the manner in which it was done. Pius remains a treasure. I’m deeply saddened by his passing,” he said. A former Editor at NEXT Newspapers, Kadaria Ahmed recounted how she met the Professor online and then at Ake Festival, 2015. Afterwards, a strong bond was formed through the internet. She believed that Adesanmi has the scientific nature of energy which cannot be destroyed but transformed from one form to another. “Many have written about Pius Adesanmi the poet, writer, essayist, academic and public intellectual. Undoubtedly, he was accomplished in all those fields but what made him truly special was his humanity,” she said. Ms. Molara Wood, another award-winning writer and former Arts Editor at NEXT Newspapers, shared her account of being a visiting lecturer at Carleton University, Ottawa in May 2011 on the invitation of the Prof. Adesanmi. “He was generous with his intellect and scholarship , and with his art and spirit. Pius was that rarest of persons, his heart was filled to bursting with love and affection for those around him,” she said. The Professor had plans to return to Nigeria once his term as the Director of the Institute of African Studies ends in 2021. In the printed tributes, a former Special Adviser on Media and Publicity to Late President Umar Musa Yaradua and Chairman, Editorial Board of THISDAY Newspapers, Olusegun Adeniyi paid tribute to Adesanmi, adding that his writings will outlive him. “In the fullness of time, when we are all buy fragments of history, future generations will appreciate Pius Adesanmi who, in his refusal to submit to mediocrity joined other compatriots to plant the seed of a new Nigeria,” he wrote. Another former associate of the scholar, who was his secondary schoolmate at Titcombe College and University of Ilorin, Phillip Adekunle recalled his years of activism. 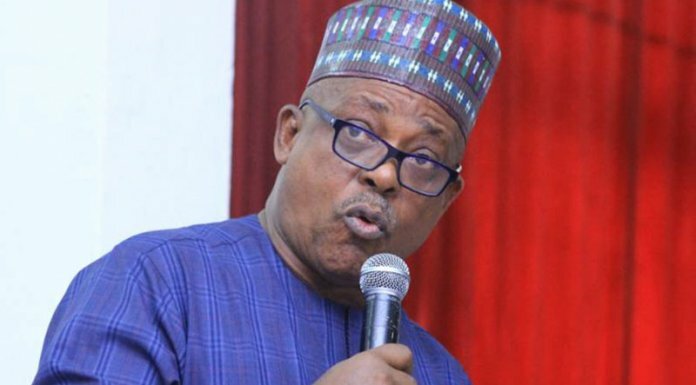 “Pius helped organise protests against injustices on Nigerians at home and abroad, including the global protest against British Airways in 2007, to the Spanish Authorities and many more,” Adekunle wrote. For Ambassador Ayoola Olukanni, the death of Prof. Adesanmi and Ambassador Abiodun Bashua was an immeasurable loss. He spoke glowingly of the past deeds of Bashua and how he helped many Nigerians in Diaspora. His submission was to recommend that the legacies of Adesanmi should be rekindled through annual lectures, symposia, and prizes should be awarded in his name. The poet, Kola Olatunbosun reminisced about the lighter side of the Professor, how he loved Nigerian cuisine and movies, referring to his love of Tunde Kelani’s Ti Oluwa Nile Series. For Kayode Ogundamisi, it was a tribute that was full of wishes. “Pius, how I wish the trouble you had in Toronto made it impossible for you to board that flight,” he wrote. On behalf of the Association of Nigerian Authors, Denja Abdullahi wrote a lengthy tribute to Adesanmi which validates the fact that the scholar demystified scholarship. ANA dedicates the forthcoming ANA/AE-FUNAI Conference on Literary Criticism with the theme, “Nigeria’s Literary Criticism in an Expanding Space of Creative Writing and Digital Production in the 21st century,” scheduled for 2 to 3 July, 2019.